Colorful art and yellow paint make an amazing impact! Whether you prefer a nature scene, an abstract, or impressionist style, we have amazing art choices. 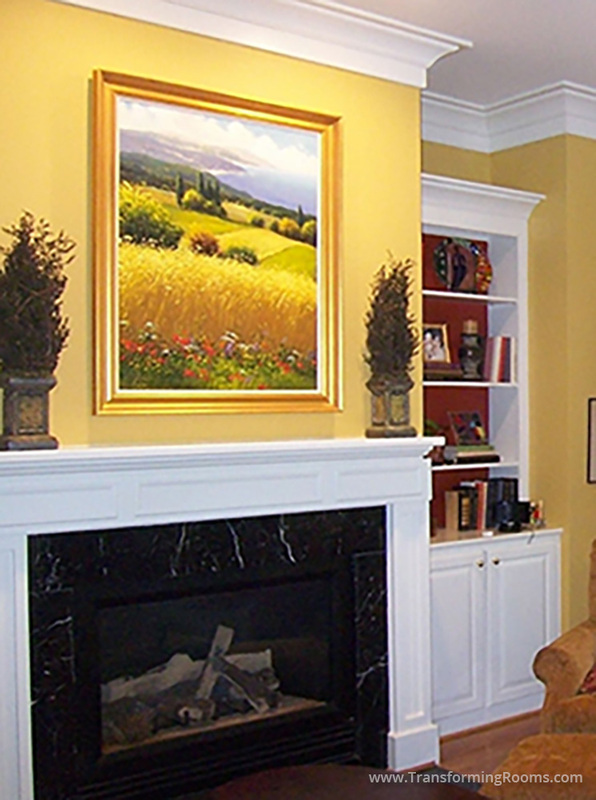 Check out our blog, which shows hundreds of mantles and fireplaces we've transformed, for a stunning focal point. What colors makes you happy?